Poet-turned-rapper and San Francisco native, George Watsky, follows-up his 2013 Cardboard Castles with All You Can Do, which is without a doubt his best release to date. Watsky displays his talent throughout all of the tracks on this album. “Whoa Whoa Whoa,” is an aggressive, beat-driven, pump-up jam. “Right Now” is a softer track that is reminiscent of hanging out in a basement with your best friends. “Grass is Greener” is another slower track that sets Watsky’s emotional depth on display. Finally, the album finishes with “Cannonballs,” a spoken word, poem-song hybrid — an interesting choice because it ends the album in a heavy way. 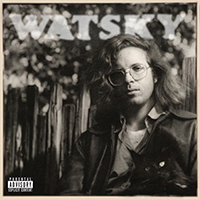 With Watsky’s raw honesty evident in each track, and the beat-driven old school feel, All You Can Do is a beautifully cohesive album that is definitely worth checking out. “High noon” is the most active time — a very creative time. 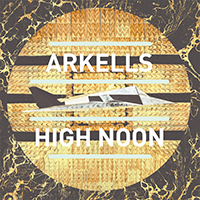 Things come together for Arkells in their third LP, High Noon, where it seems they have settled on a vocal and instrumental quality at which they’ll stay. The keys are the definite star of High Noon — the record starts with keyboard fanfare in “Fake Money.” “Cynical Bastards” features a riff you’ll have to shake out of your head. High Noon boasts a slightly more “polished” feel than previous records, but it includes acoustic versions of “11:11” and “What Are You Holding On To?” to appease softer listening ears. Simply put, you can’t not dance while listening to this record. Don’t miss it. 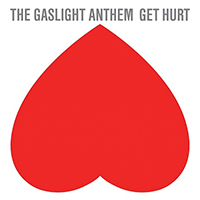 The Gaslight Anthem’s fifth studio album is on track with their Bruce Springsteen-esque grit, adding an all-American grunge rock n’ roll sound. The 12 track album contains emotionally driven songs with lyrics that tell stories of pain and loss. “Get Hurt” — the album’s first single — is a song that carries a relatable sentiment and reminds you of your first love lost. “Stay Vicious” and “Dark Places” bring back their traditional edgy punk sound, maintaining the theme of heartbreak and pain. Overall, the album brings a new dimension to the band’s musical repertoire which proves that they can change up their sound while staying true to their fans.